Whether Mother Goose was a real person or a myth, the songs that are attributed to her name are what we remember from our childhood. Some of these nursery rhymes are complete tales in themselves. There are others which are mere suggestions, leaving the imagination to weave in the details of the story. Many of the rhymes’ origins even at the time of this book’s writing could be traced back decades or centuries. 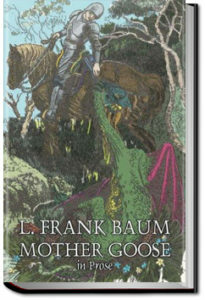 L. Frank Baum, while living in Chicago, collected the rhymes and created short stories around them which add context and understanding for children who are drawn to the familiar melodies. Collection of short stories by Jean Ingelow. It tells of a cat called Ribby and a tea party she holds for a dog called Duchess. 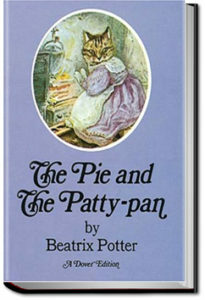 Complications arise when Duchess tries to replace Ribby’s mouse pie with her own veal and ham pie, and then believes she has swallowed a small tin pastry form called a patty-pan. Its themes are etiquette and social relations in a small town. 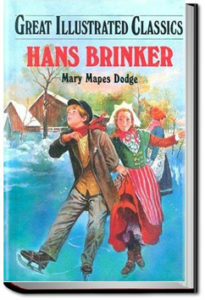 Mary Mapes Dodge created an instant bestseller with “Hans Brinker or The Silver Skates.” She wanted the book to be partly a book of travels and partly a domestic story. 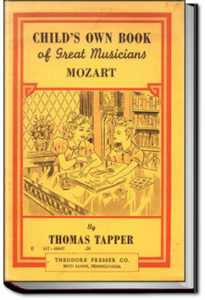 It is a tale written for children that adults also find interesting and uplifting. Dodge writes as if she is sending a series of letters from Holland to children in America, and her you-are-there perspective is aided by a nice attention to detail and vivid imagery. The Brinkers are a poor but stoic family under a dark cloud – Raff, the man of the house, fell from the dikes while reinforcing them during a bad storm, and for ten years he has been in a vegetative state. With no steady income, the family’s lot is grinding poverty. Despite their unfortunate circumstances, Hans and Gretel are cheerful children, yet always attentive to the needs of their mother and their present-but-not-really-there father. Their social standing is very low, but they both attract firm friends, even among the gentry, for their honesty, industry, and good-heartedness. Then a glorious skating race is proposed for the town of Broek, with the prize a pair of silver skates for both the winning boy and girl. In the weeks leading up to the race, we follow the adventures of five of the local boys who are showing a visiting relative from England the sights of the Netherlands. Hans improbably meets the one man who might be able to heal his father, and somehow Hans finds a way to afford some skates so that he and Gretel can enter the race. This all leads up to a dramatic, moving, and entirely satisfactory conclusion. 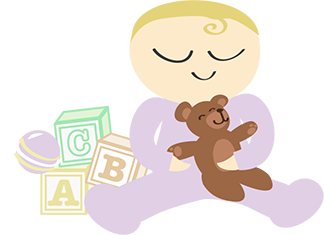 “Hans Brinker” hits a series of high notes and encourages children to cultivate and display their finer qualities. Raggedy Ann is a fictional character created by writer Johnny Gruelle (1880–1938) in a series of books he wrote and illustrated for young children. Raggedy Ann is a rag doll with red yarn for hair. 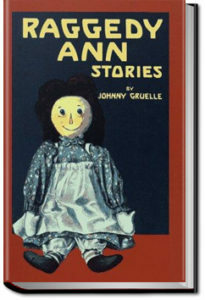 The character was created in 1915 as a doll, and was introduced to the public in the 1918 book Raggedy Ann Stories. 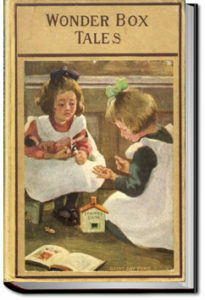 A doll was also marketed along with the book to great success. A sequel, Raggedy Andy Stories (1920) introduced the character of her brother, Raggedy Andy, dressed in sailor suit and hat. When three brothers mortally offend Mr. Southwest Wind, Esquire, their farm is laid waste and their riches lost. Desperate for money, the brothers become goldsmiths and melt down their remaining treasures . . . only to find that the spirit of the King of the Golden River resides with a molded tankard, and knows the secret of the riches of the Golden River. Sara Cone Bryant was an educator and storyteller who wrote several books on the importance of oral storytelling to children, and stories to tell children. 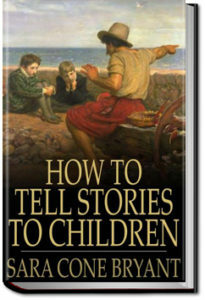 This volume expounds on her theories and practices of telling stories to children, and provides several examples. Her conversational writing style makes this work as relevant for parents and teachers as it was 90 years ago. 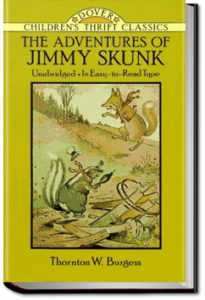 The Adventures of Jimmy Skunk is another in the long list children’s books by the conservationist, Thornton W. Burgess. 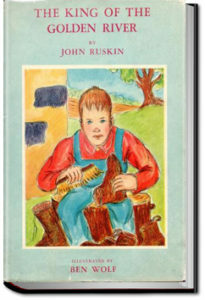 In this book, Jimmy Skunk has encounters with Reddy Fox, Peter Rabbit, Unc’ Billy Possum and other acquaintances of his in the Green Meadows and Green Forest. Along the way, we learn some of the habits of Jimmy and his friends and we learn little lessons about life such as the importance of always keeping one’s temper, keeping promises and not playing practical jokes. We are also treated to a philosophical discussion by Jimmy Skunk on the advantages of defensive weaponry. Because of the illness of her grandfahter, Lloyd Sherman, the Little Colonel, finds herself being sent off to boarding school from her home in Lloydsboro Valley, Kentucky. 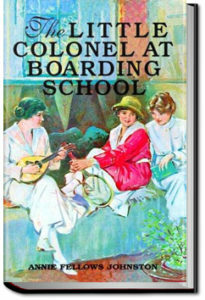 Jolly times are mixed with lessons in this 7th book in the “Little Colonel” series for girls.